SEFI - Societé Européene pour la Formation des Enginieurs, established in 1973, is a not-for-profit organisation under Belgian law to promote information on engineering education, to improve communications and exchanges between teachers, researchers and students in Europe, to develop cooperation between educational engineering institutions, to promote cooperation between industry and educational institutions and so to contribute to the development and improvement of engineering education in the economic, social and cultural framework of Europe. SEFI - Societé Européene pour la Formation des Enginieurs receives support from UNESCO and the Commission of the European Union for specific events or activities. The aim of SEFI, Societé Européene pour la Formation des Enginieurs, is to contribute to the development and improvement of engineering education in Europe as well as to the improvement of the position of both engineering education in society in general and of the engineering professionals in particular. The diversity of courses, teaching methods and the freedom of choice for those involved are fundamental qualities and valuable assets which must be preserved. SEFI, Societé Européene pour la Formation des Enginieurs, serves as a European forum and should be considered as a service to European institutions, academic staff, students and industry. 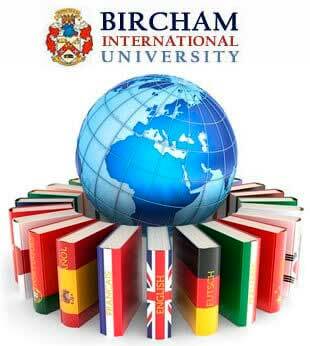 Bircham International University became an institutional member of SEFI in 2000. In 2005 SEFI membership is not renewed. It is replaced with the International Association for Continuing Engineering Education that has a wider and global scope. Reference - Member. Year: 2000... 2005.